Austin's favorite stationery shop and workshop studio. 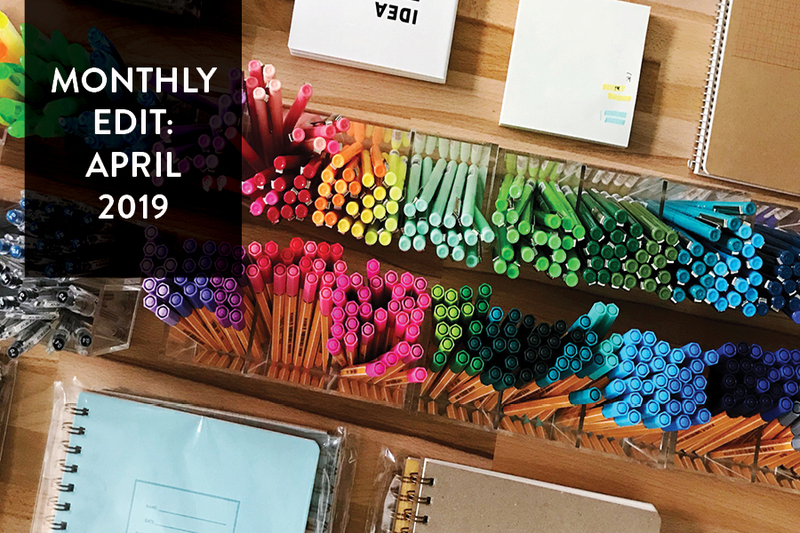 The Paper + Craft Pantry blog is home to our latest DIY projects, current inspiration sources, and small business advice. In case you missed it, we’re doing things a little differently this year and want to invite you to join our Paper + Craft Pantry Book Club! We had a really great time growing our “new” book club through Q1 and are excite to dive into our new 3 books for the second quarter. We are sharing our book picks by the quarter. So you’ll be able to get an idea of what books are coming up! Book club nights will take place on the last Wednesday of each month from 6pm-7:15pm. Book club members will vote on the next quarters books! We’re committed to making this year the best year yet for book club- and are asking you to join us. Make reading a part of your routine, carve out that one time a month to join us in our studio, better yet, invite a friend to join us. 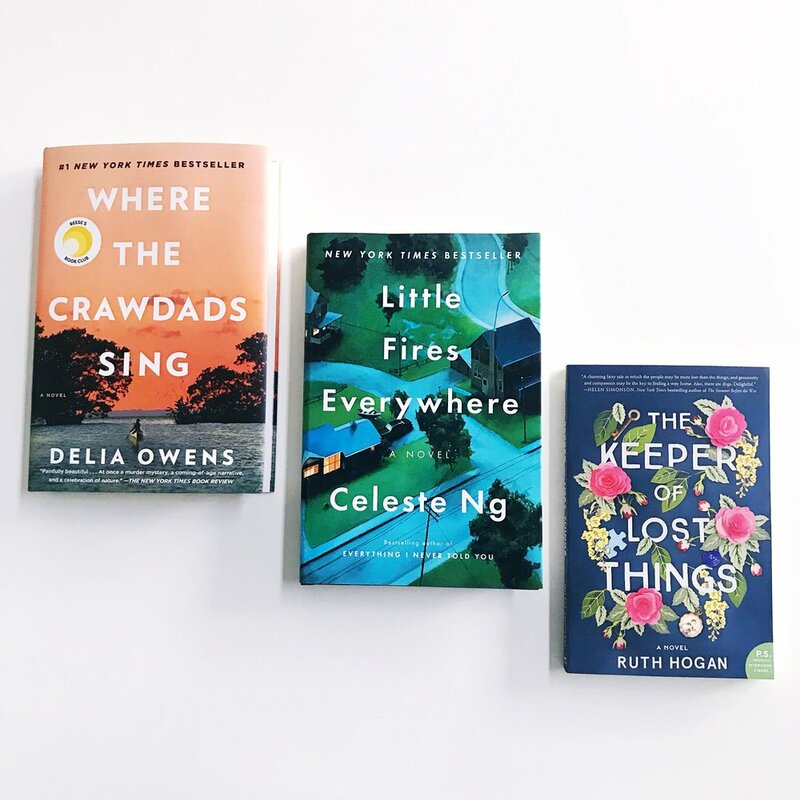 Book club is meant to keep us connected in this busy, busy world! Want to join the Paper + Craft Pantry Book Club in 2019? Fill out this form to join us! So we can add you to our email list just for book club! Happy April friends! Hope this month is off to a great start for you guys- there’s always something nice about starting a new month. From flipping the page in your planner to tearing off the previous month on your calendar, it feels like an opportunity for a fresh start or restart. After a lot of deliberation, and after gathering feedback from you guys, I’ve decided to streamline our P+CP blog to truly offer you content that feels meaningful in addition to content that personally lights me up. It may seem easier to just churn out as much content as possible (and it may be easy for some) but running a physical business (and what sometimes feels like two separate businesses with the retail shop + the workshop space) is my main focus and this blog was always meant to be a creative outlet of sorts. I’ve decided to get back to basics in my effort to my 2019 mantra of less but better. And this new month seemed like the perfect time to kick off our new blog format and calendar. From now moving forward, you will be hearing from me 3 times a month. The first post of the month will be a Monthly Edit series, where I’ll share some combination of the following: A look back at the previous month, a few things happening this month, a section on what we’re currently loving + life lately, plus a mini series where you’ll get to “meet” one of the plants in our shop. The other two blog posts in each month will be a creative D.I.Y. project and an installment of our Small Business School series. 1. Survived the madness a.k.a. traffic craziness that was SXSW. 2. Finished our official P+CP Spring 2019 Line Sheet, which is basically a wholesale catalog for other retailers interested in purchasing our stationery to sell in their shop! 3. Successfully integrated our team onto our new payroll system. A HUGE win considering this has been a goal of mine from day one of the business! New blog format + series! What we’re excited about: getting to share more BTS life and business with you guys! Last year’s plant adoption station at our Earth Day Pop Up Party may have been the very best thing we’ve ever done- each plant came complete with “adoption” papers + a portion of proceeds went towards planing new trees in Austin! Earth Day Pop Up Party- for more details + to RSVP. What we’re excited about: plant adoptions, flower seed stand, debut of our mini collection of plant-y stationery. What we’re excited about: This painting workshop where you’ll get to paint your home, this block printing workshop with a new local instructor, and a small business workshop to help you grow your business with the help of social media! What we’re excited about: still reeling from the fact that we finally have our own product line and even more excited that other stores what to share them with their communities! Look at how gorgeous these blooms are! They’re grown at a flower farm just 20 minutes outside of the city and bonus, this farm is owned by one heck of a woman who has learned how to grow flowers in this crazy Texas weather! An entire month dedicated to sending more snail mail? YES please! So from home renos and pretty much straight into having to take care of a very sick dog (Fig), the past month has been a bit of a whirlwind. Fig is fine now, by the way, she had some kind of stomach bug that she just couldn’t shake but we are finally on the mend. A few things I’m personally committed to this month: eating 3 actual meals a day (breakfast, lunch and dinner) every day, bringing the dogs into the shop with me during the week once or twice, and planting flower seeds for a summer + fall garden in our backyard. 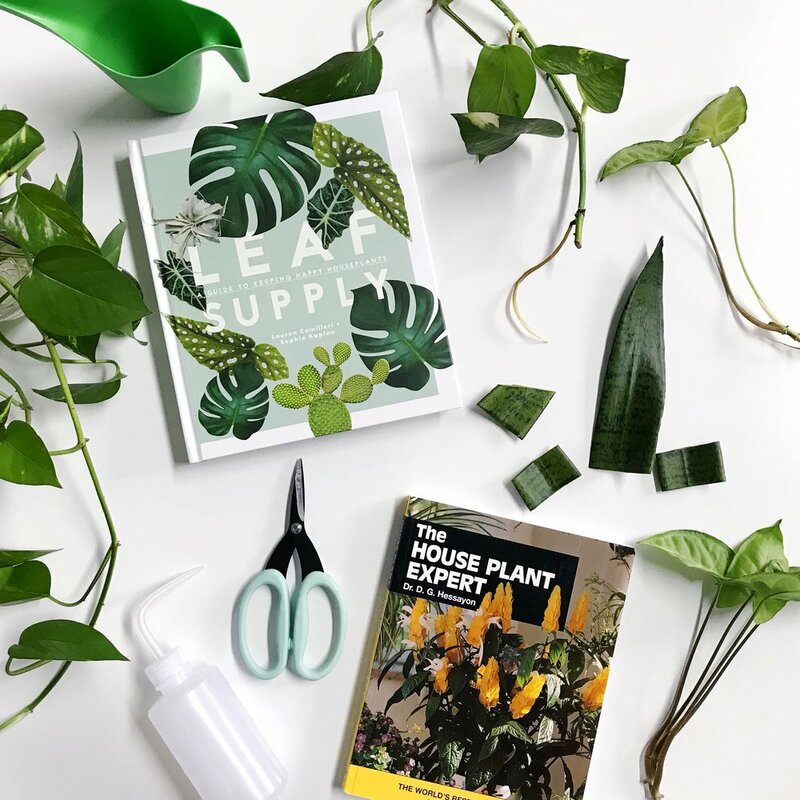 A few things I’m personally excited about for the P+CP this month: Releasing our tiny but super cute addition to our in-house line that’s plant related, hosting the plant adoption for our Earth Day Pop Up Party, teaching not one but two plant-y workshops and working on finalizing our summer workshop calendar! Frondly (see what I did there?) 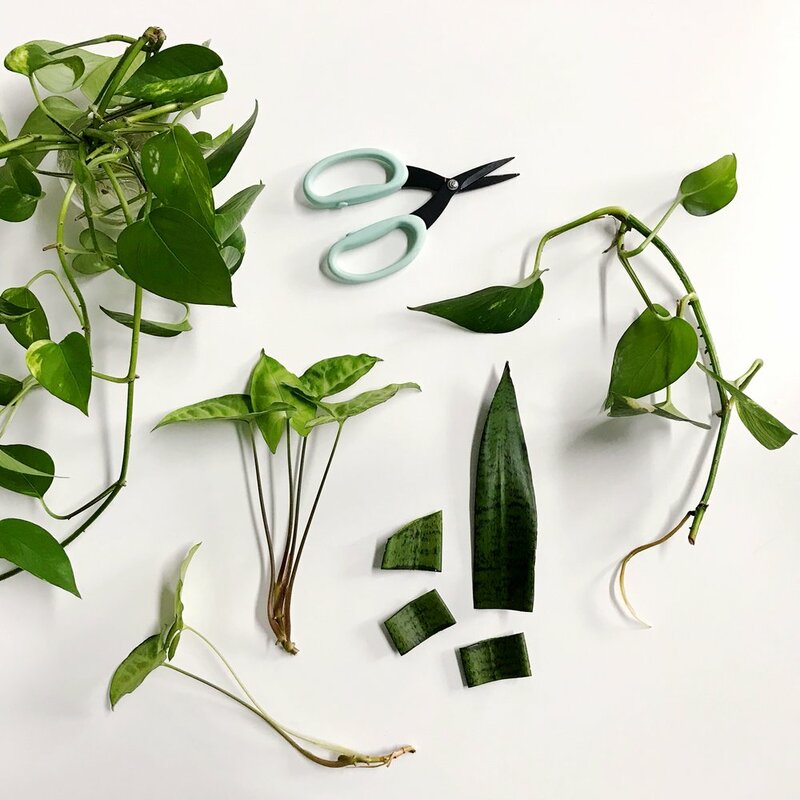 referred to as the “triplets” these three potted pothos up on this ledge have been with us since the early month’s at our East 6th shop. They’ve grown a ton while there, survived our move last summer, and have continued to thrive in our new shop. These ladies are incredibly resilient and truly easy to maintain. I water them maybe once a week during the warmer months and dial it back to once every week and a half/two weeks during the winter. My Spring ritual with them is to give them all a little hair cut aka cut off some of their crazy long growth- this will actually encourage them to grow even more as it warms up! Plus it’s a great way for me to share my love of plants by propagating them to share with friends. It’s officially SPRING! And we’re so excited about what a new season brings. There’s a sense of renewal, a feeling of a clean slate, and a fresh start! We’ve been getting into the rhythm of this season (which is a first for us in our new space) and really enjoying this particular season (both literal and figurative). As a business that’s been around for technically almost 6 years with 3 as a physical space, it kind of seems like we’re found our grove and footing here in Austin. There are still a lot of unknowns, and areas of growth, but it really does feel a lot less like panic and fear! hah! In taking a moment to truly just be grateful for everything we’ve built, the thing we are most grateful for is community. And that means YOU. Thank you guys for weathering all the seasons with us, for your loyal support and unwavering love of this little business. Okay, that got a little more sentimental than intended ;) This blog post idea was something we had thought of several months ago, perhaps in retaliation of how cold it has been this winter. We wanted to share a sweet and fun way to bloom and grow this Spring. This D.I.Y. is a great excuse to get your girl friends together and is even a family friendly crafty activity for everyone! It’s a great excuse to take a little trip to walk around your local nursery to pick out some flower seeds together, a reason to get outside, and you’ll have the reward of having something you made bloom and grow! 1. Start with choosing 2 pieces of newspaper and 2 pieces of color construction paper and tearing each sheet into small strips and pieces. 2. Put all those strips intro a blender, cover with water., and then blend together until it all becomes a mushy. 3. Now you need to grab a screen/pasta strainer and put that on top of any tall pan. Select your cookie cutter shapes and put that on top of the screen. 4. 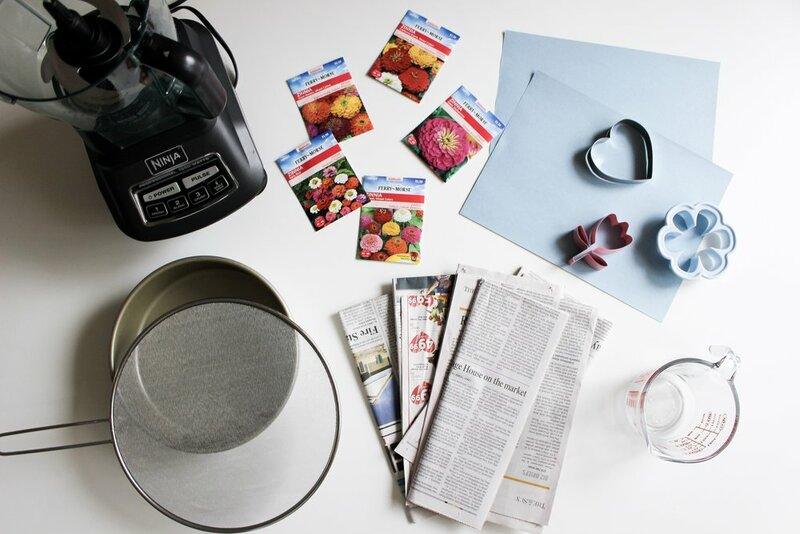 Start scooping some of your paper mush and put that into your cookie cutter and start mixing in the seeds while pressing into your cookie cutter. 5. After that, carefully take off your cookie cutter and press down firmly to squeeze out any water. This is the reason for the pan underneath, it’s to collect that water! *this is a very important step! Pro-tip: You could also leave the paper to dry under a ceiling fan to expedite the drying process. 6. 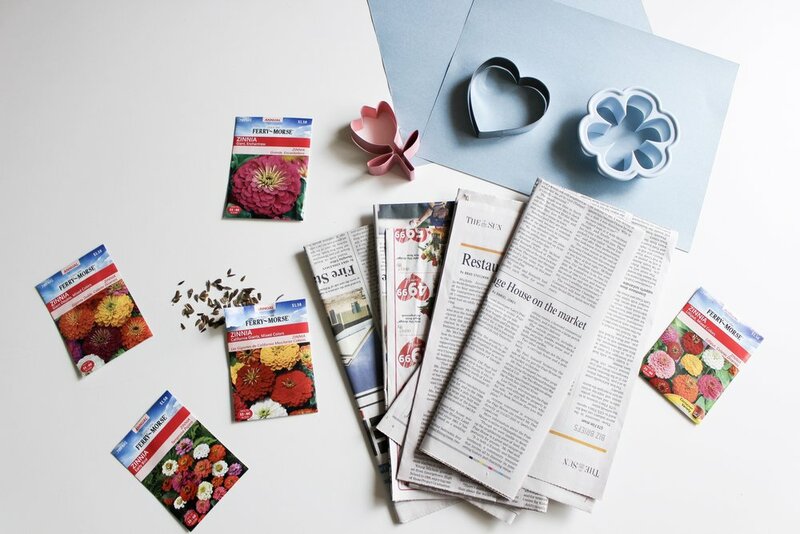 Once your seed paper is completely dry, it’ll be ready to plant in a flower pot or right into your flower bed! Blooms will appear anywhere between 30-90 days depending on the type of seeds you chose! 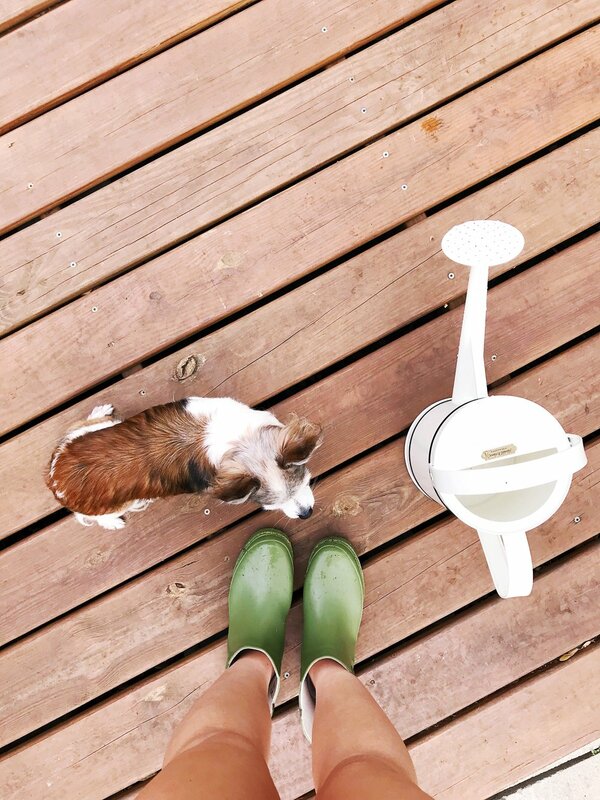 What are some of your favorite Spring time D.I.Y.s? We want to know :) Tell us below in the comments! When we first dreamed up of The Paper + Craft Pantry, the intention was to become a destination stationery and paper shop in Austin, as well as the go-to spot for all things workshop. The business was always built with these two parts in mind. 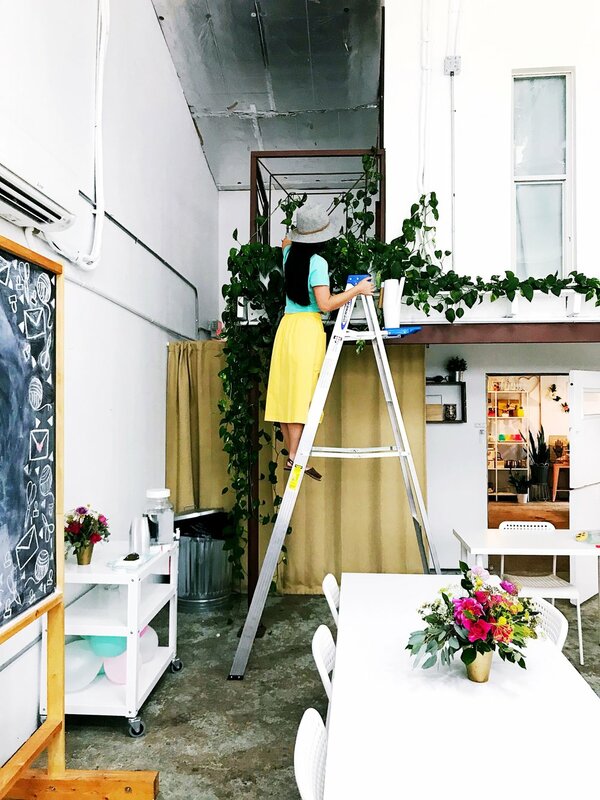 I’ve personally always loved workshops, hosting them, teaching them and taking them- and I really felt like there was a lack of a space that suited the kind of experience I wanted to offer our community. Workshops have now become very popular and dare I even say, a trendy thing for a lot of businesses to dabble in. I personally think it’s an amazing thing because there is now no shortage of ways people can get creative and learn! The only downside is there can be some oversaturation and also a potential discrepancy in quality that may skew someone’s mind on workshops. A lot of people ask me all the time on how we host workshops. It’s something that I’ve learned and evolved with over the years- through trial and error (a lot of error). And I’m honestly still evolving and learning how to better serve our workshop community! Want to know what the top thing I wish I would have done differently in the beginning of hosting workshops (back in 2013!)? A 2.5hr workshop ended up being over 12hrs (give or take) to pull off. That’s A LOT of time to value and translate into a ticket that a paying student will understand the investment for. When someone is paying for a workshop ticket, they often just account of the actual time they will be in the class and the materials. If I’m being really transparent, we do source very high quality materials- but the cost of the workshop materials is actually a very small portion of the total workshop ticket. You can 100% go to your local craft supply store to pick up supplies + watch a youtube video to learn. But I truly believe that you get so much more when you get to experience it alongside others, and when you are being led and instructed by someone who is incredibly knowledgeable. The bulk of the workshop ticket really goes towards the instructors time, years of hard work to be a pro at what they do, the time they are taking away from their own businesses/family to be here to teach. I stand very firmly on compensating our instructors (and myself when I’m teaching) and truly valuing their time. Where will you be hosting this class? How much is it going to cost you to rent the space? If the space is being provided to you at no cost- keep in mind that you may at some point have to allocate money for a space (which means you’d have to increase your workshop ticket) Does this place accomodate your needs? Does it have tables, chairs, a bathroom, parking, wifi or anything else you might need for your workshop? What do you want to teach? If you aren’t the one teaching, what kind of classes does your community want? Have you had a lot of interest in a particular topic? Keep in mind that when you host a class on a specific day and a specific time, there are going to be people who say they want to go but can’t make that date. Also take the time to do some research as to what else is out there, are there other studios or places offering what you want to offer? Is it something you can partner with them on? Or are you able to pivot and shift so you are not over saturating the market? Calculate the cost of your ticket based off of every factor! You can still make a workshop ticket fee accessible and of value to a student while still being mindful of your actual costs! People are visual beings- having clear visuals for your upcoming class and workshop can really help in getting people excited about your workshop or class! You want to give people enough time to plan ahead for your upcoming workshop yet want to be sure it’s not too far out that it gets lost in their busy schedules. Finding that “sweet” spot can be tricky and truly is something that each person needs to figure out on their own. I’ve seen fellow creatives who have massive followings and a loyal following who can sell out a workshop that’s listed many months in advance as well as some who have sold out a workshop in hours. LEARN- BE OKAY WITH AN UNCERTAIN OUTCOME AND LEARN FROM EACH EVENT! Not every class will sell out. You can host two of the exact same workshops where one sells out in a matter of minutes and the other is a struggle to fill. There are SO many variables when it comes to someone’s life and schedule it’s truly hard to predict or really know. You can make your best guess based on some trends or habits you might see, or even based off the season and what else is going on around your specific city or town- and trust me, you’ll still get those curve balls. I personally love when classes are more intimate, it allows you to go above and beyond to create an incredible experience for your students. We’ve hosted classes with 4 students and classes with up to 50 students. They are both great in their own way! So don’t be discouraged if you try to host your first class and aren’t able to fill it. If you read this post through the end, I hope you found value in what I shared. There really is no simple solution or formula to hosting a successful workshop (or event!) I hope these things will at the very least prompt you to consider some of the things I feel are important to consider when hosting a workshop! Just as we were starting to think Spring was in the air, Texas decided to pull a fast one on us with this cold front! I don’t know about you guys, but we’re ready for some warmer days over here at the shop + studio! We wanted to create some large inviting cactus pillows which meant buying several yards of felt from our local craft and fabric store. We cut ours about 1.5ft wide and 2ft tall for each cactus pillow. You want to measure, trace, and cut 2 pieces (one as the front and one as the back) of your desired cactus shapes. + make sure to trace the lines on the cactus to sew. Next, lay both pieces on top of one another and sew around the entire outline of your cactus. After that, flip your piece inside out and draw lines down the middle wherever you want your cactus grooves to shown. Once you sew the lines you will have to individually stuff each “section”. We suggest using the eraser end of a pencil or a wood dowel/stick to help push the stuffing to the very top of the cactus. After filling each section, leave just a LITTLE room at the end of your cactus to sew closed. Then you are done, it’s really that simple! if you want to add felt flowers just cut several tear drop shaped petals and glue each end on top of the others. You can either hot glue the flower or pin it to the top of each cactus using a sewing pin. We’re still riding on that new year wave of inspiration and wanted to dream up a fun way to stay inspired through the year. So many of us pick a word of the year to focus on, and it’s something we think is so powerful. It’s a way for you to go back to that word to check in with yourself. In a world of so much information and so much to do, it’s really nice to have a physical reminder of how you intended to spend your year. We created these simple yet beautiful wall charms to help you get creative and stay rooted in your word of the year. These also happen to make wonderful gift for friends, business partners and clients. There’s no better way to open up conversation than to chat about why they chose their word and it’s also an easy way to enroll someone as your accountability partner! We wanted to create a more organic feel so we opted to just roll out a ball of clay. You could also use metal cookie cutters to cut out specific shapes if you wanted. We rolled the clay to about 1/4” thick in all directions for an organic shape before stamping our letters onto the surface. Using the wooden dowel, push gently through the top of the piece to create a hole for hanging. Let dry 3-5 days (or as instructed on the air dry clay container). Once dried, we added in some fun colors and abstract brush strokes to give each piece a little personality! Let dry before applying a coat of sealant. Add your choice of cord to hang! Banner Photography by Dakota & Co.